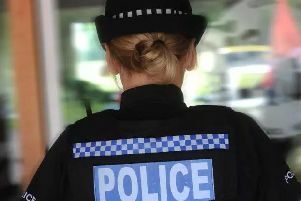 A man in a car indecently exposed himself to a woman in Desborough while she was walking her dog. Between 1.15pm and 2.15pm on Saturday, November 24, the woman was in Dunkirk Avenue when she noticed a blue/grey car which seemed to be following her. When she looked, the male driver was exposing himself; he then drove off. The man is described as white, with a black moustache. He was wearing a blue hooded top which covered most of his face.